Former Kobs player Fred Mudoola has been tasked with the role of guiding BetWay Kobs back to past glory. After a trophy-less 2017-18 season, the Kobs will now look to one of their own assisted by Edmund Tumusime to try and change their fortunes. As they announced a new technical team, they also made several recruits in the playing department including Joseph Aredo and Ronald Musajjagulanyago who returned to the club after semi-pro stints in the Kenya. Kobs has also added Ivan Kirabo from Kabras (Kenya), Robert Aziku from Shell Rimula Rhinos and winger Daniel Ortega from Makerere Impis. Fred Ochan, David Agassi, Joshua Obo, Donald Oketayot, Isaac Tago and Wanda Ssula are the other new addition. Kobs who unveiled their new jersey on Wednesday start the season this weekend with a trip to Jinja to face Walukuba Barbarians in the Uganda Cup. 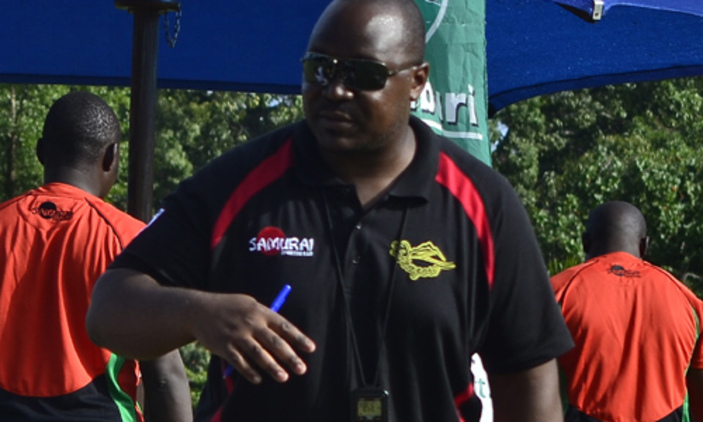 In a season Black Pirates were unstoppable, Kobs could only settle for third and second place in league national sevens series respectively. The side could not get past Pirates in last year’s Uganda Cup semifinals despite Alhaji Manano, Justin Komono and James Ijongat’s first half tries.